Talia has already covered the more common places to go dancing tomorrow night, but for a more alternative music New Years Eve, then wander over to Kings Cross’ Monto Water Rats to catch Brighton rockers Eighties Matchbox B-Line Disaster play a special New Years gig with support from Gingerbread Men, The Foxes and a few others. Alternatively, there are still a few tickets available for Super Fury Animals at Royal Festival Hall. The fun starts at 8:30pm, and tickets are £50 from the Southbank Centre's website. Finally, indie hipsters Foals and Metronomy play Westbourne Studios. Tickets are £25 each and (unsuprisingly) nowhere near sold out, so grab them whilst you can from Ticketweb. As everyone recovers from their dancing or house parties, things take a while to get back up to speed for the rest of the week. However, you could continue the party season with Spice Girls, who continue their residency at the O2 on Tuesday 2nd January until Friday 4th January, and then playing a variety of dates until 22nd January. Tickets are still available for all dates priced between £55 and £75 each. 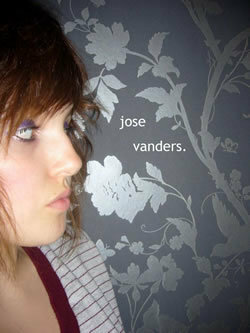 Our final reccomendation of the week is for Jose Vanders on Friday at Monto Water Rats. The rising Myspace star is only 17, but has an amazing voice that is already drawing comparisons to Kate Nash and Lily Allen (mind you, most single female songwriters seem to these days). Either way, for a relaxing evening tickets are just £5 from Ticketweb.